Estate planning documents are essential if you wish to protect your assets & loved ones. Whether you are deciding who should make health care-related decisions on your behalf, inherit your real property, or manage your financial assets, you will need legal documentation to make certain that your wishes and goals are respected. An Advanced Health Care Directive combines two concepts into one document. It appoints a healthcare power of attorney (agent) to make health care decisions for the Grantor, if he or she becomes disabled. It also provides instructions given by the Grantor to specify end-of-life decisions. It is important to remember that so long as the Grantor is mentally competent they maintain the right to make all personal health care decisions including the refusal or discontinuation of treatment. Should the Grantor become disabled in the future, an Advanced Healthcare Directive will generally prevent court intervention when properly drafted and followed. A power of attorney (POA) is a written document where a Grantor authorizes another individual to act as their financial agent. POA’s can be limited in scope and duration, but should the Grantor become disabled in the future, a power of attorney-when properly drafted and adhered to-will normally prevent court intervention. 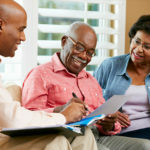 When appointing a Power of Attorney, it is imperative that you trust that individual because the document will allow your agent carte blanche to manage all of your financial affairs. In Maryland, a Medical Orders for Life-Sustaining Treatment (MOLST) form is a document that replaces the Maryland Do Not Resuscitate (DNR) form. A MOLST expresses the care you wish to receive or have withheld in a life limiting situation. Is a MOLST different than an Advance Health Care Directive? An AHCD contains instructions about future hypothetical healthcare situations. A MOLST Order documents a patient’s wishes relevant to their current healthcare conditions and needs. The goal of a MOLST form is to provide as many clear and concise healthcare options as possible. Patients are presented health care situations and potential treatments. They are asked to check which treatments they would like to receive or have withheld in those specific situations. A trust is a written document which creates an asset holding entity for the benefit of someone or something. Trusts are generally created while the Grantor is alive, or by the means of the person’s estate plan. Some trusts are effective while the Grantor is alive, and others take effect at the time of the death. The trust is governed by the terms under which it was created. The person or entity who holds legal title or interest, and who has the responsibility to manage the assets and distribute the income or assets, is called the Trustee. 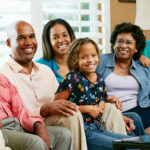 There are numerous reasons to create a trust including second marriages, the prevention of probate or ancillary probate, to prevent or minimize death taxes, to manage assets on behalf of children until they attain a certain stated age, to maintain and care for pets, and to allow a disabled person to maintain government benefits. In Maryland, a will must be a written document. 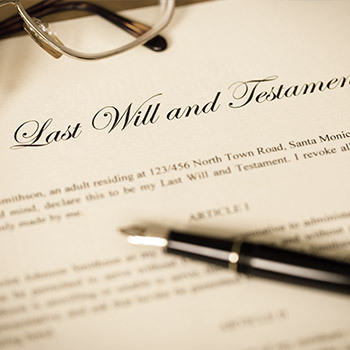 Wills control assets titled solely in the Decedent’s name, which may not designate a beneficiary. Assets that are co-owned, or that name a beneficiary, are distributed to those persons outside of probate. The other requirements for a valid will are that the person signing the document is mentally competent and over 18 years of age. It must be signed in the presence of two witnesses who also sign it in its owner’s presence. A will only takes effect at your death, and prior to that time it serves merely to show intent. Have you ever said or overheard someone else say I do not need a Will, Power of Attorney or Advance Care Directive? Are you divorced or in the middle of a divorce proceeding? If so, you should review your estate planning documents, ownership titles on your assets and named beneficiaries. An Advance Health Care Directive can be oral, but usually is a written legal document. It expresses a person’s wishes about what should be done if they later become incapable of making their own healthcare decisions. 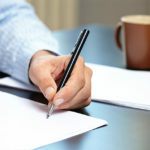 This article specifically addresses the Pros and Cons of accounts that are titled ‘Joint Tenant with Rights of Survivorship’, (JTWROS). Have you had “the talk” with your children yet? No, not that one. The one about your expectations regarding your estate when you pass away, or your healthcare if you are unable to care for yourself. With no family to provide for, many singles may feel that having a plan isn’t a necessity. However, the truth is that estate planning for single individuals is just as important, and sometimes more complex, than planning for married couples. 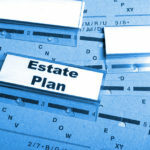 Estate and “death tax” planning must be undertaken in a way that also educates the client. In this way, the client understands the applicable laws, how those laws will impact their ultimate goals or how they may lower or increase the potential taxes occasioned at death. 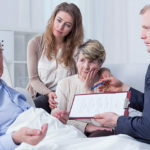 Do I Really Need an Advance Health Care Directive? The process of estate planning is fairly simple. It largely consists of organizing and preparing property and interests so they can be legally taken care of and/or distributed in times when the owner can no longer express their desires due to the unforseen such as disability or death. Disasters cannot be predicted but, they occur in everyday life. The question you must ask yourself is, are your affairs in order should you experience a disastrous event?